And why couldn’t I blog as well? I know, I managed it last year didn’t I? It was strange though. 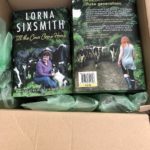 I wrote the first 30,000 words for this easily enough and then, I wouldn’t say I struggled, but it was a more challenging book to write than Perfect Farm Wife. I guess I dealt with more issues and trying to write about different topics too. Maybe I covered all the easiest topics in the first two books! Having said that, this one is the longest at 66,000 words so even though I removed material that was in the early drafts, lots stayed in. I have really exciting news about my new book apart from the fact it’s available from the end of next week. Well, it’s exciting for me and I hope you can give a whoop on my behalf too. 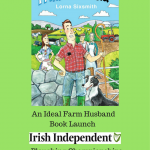 The Irish Independent newspaper (and they publish the Farming Independent supplement every Tuesday), is launching An Ideal Farm Husband at the Ploughing Championships so please do come along if you can! 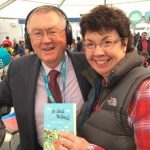 Yes, come along at midday on Tuesday 20 September to Block 2, Row 10, Stand 248 when Ann Fitzgerald, author and journalist, will be launching it. And if you can’t make it on the Tuesday, I’ll be there at midday and 4pm each day signing copies. Are farmers considered to be romantic? How can you find the right woman to be your perfect farm wife? What will it take for your mother and your wife to get on? Is it ever a good idea to live with your parents? How can you get away for a break? 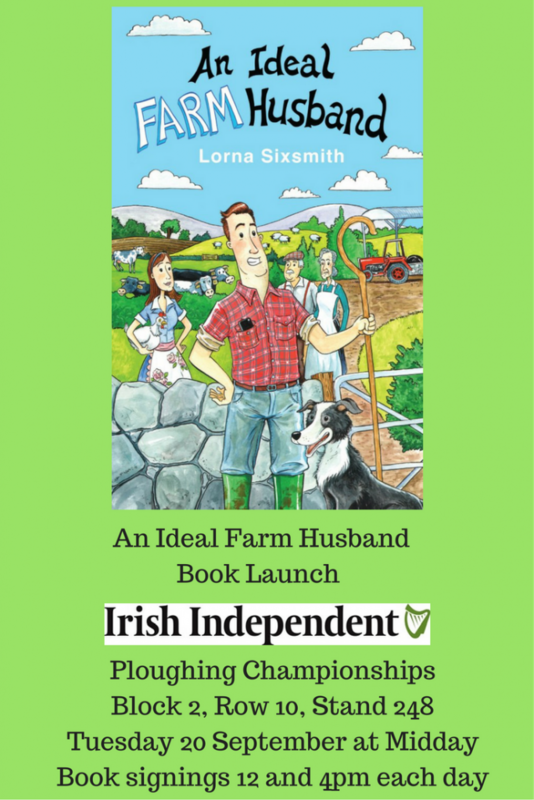 Farmer/farmer’s wife and author Lorna Sixsmith looks at what it takes to become an Ideal Farm Husband. You’ll find out how little effort it takes to be romantic, how to propose with pizzazz, the best ways to survive stresses like the Pre Silage Tension and the Pre Scanning Shakes, and how to overcome your disappointment at finding your girlfriend is not, after all, telepathic. You’ll discover why water, social media, sales representatives, your dog and sharing housework are so important for your wellbeing. 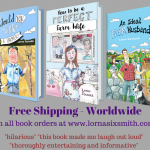 With “his and her” quizzes to test your progress (and yes, there are wrong answers), this is a book you can read together to ensure you become a modern, IDEAL farm husband. 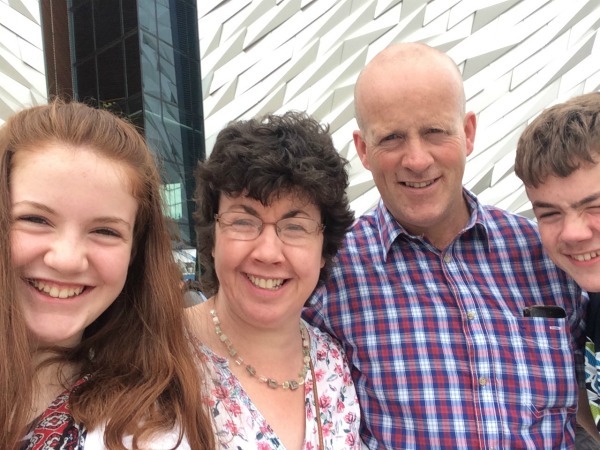 Although it was a busy summer of writing, we did manage to fit in some down time between the occasional day off to the beach, 3 lovely days in Belfast and had friends to stay from the UK. Before we knew it, the children were back to school (both in secondary now) and we’re well into the autumn now. Although I didn’t have time to write blog posts, I did have lots of ideas and have created so many draft posts that I’m looking forward to writing in full over the next few months so I promise there’s lots to come. If you can make it to the Ploughing Championships, I’d love to see you at the Irish Independent stand so please do come along and say hello. The book will be available from this website next week and from all bookshops very very soon! Normal blogging will resume here soon I promise! 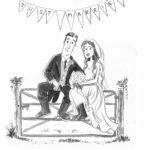 What It Means To Marry An Irish Farmer? Thanks Dee, yes, getting excited now. I’ve been seeing your colourful patio and fabulous garden furniture, looks like you had a lovely summer which is the important thing really isn’t it? Interesting premise.. Hmmm. I need to get my hands on that book. Congrats on the new book and hope the book launch goes well. Be great to see you back blogging again. Thanks Kate, just starting to get a teensy bit nervous now alright! That is great news about the Independent and a huge congrats on book number 3… already! I don’t know how you do it! Best of luck with it! Thanks Naomi, I have to admit the adrenaline and nerves are starting to kick in now, it’s going to be a long 9 days until the Ploughing is over! I won’t have them from the printer until later this week. Getting 2000 printed of these, same as volume last year. I’m looking forward to seeing them too, always a bit nerve wracking wondering if everything will be alright.